The Wonder Core Smart Total Core Workout machine is a ground-breaking fitness machine from Wonder Core designed to help you strengthen your core through a number of fun exercises. Unlike many all in one exercise machines, the Wonder Core Smart isn’t limited to working specific body areas, but rather allows you to focus on those areas that require the most work. Although this is a machine designed to work your core with a focus on abs and obliques, the Wonder Core Smart will have your increasing your overall muscle mass and can even help build shoulder, arm and leg muscles too. With adjustable resistance to match all levels and needs, the Wonder Core Smart is your one-stop fitness device. 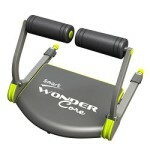 Is the Wonder Core Smart Total Core Workout Worth Buying? The Wonder Core Smart comes fully assembled which is a pleasant surprise for an all in one fitness device. Considering the design and reliance on dual resistance springs, this is a welcome fact. The machine also folds flat for easy storage which has the added bonus of making it easily transportable for those looking to bring the gym with them! The Wonder Core Smart also allows users to adjust the resistance levels, making it ideal for novice users and beginners who plan on increasing their strength and require a workout machine that will grow with them. The instructional DVD guide that is included is an absolute necessity as this is where you will learn how to make the most out of your Wonder Core Smart. The DVD is clear about how the device can be used effectively. It covers exercises from your basic sit ups and push ups to more technical exercises like the ab tuck and the bridge. There are 8 recommended exercises in total, and these all work together to give a balanced body workout. The one glaring limitation of the Wonder Core Smart is its size. Although users of any size will be able to get use out of the Wonder Core Smart, larger users might struggle with some of the specific exercises. At 20.5 x 21.6 x 15 inches, this is not a large device, and larger users should consider investing in something more substantial if they are looking for a device that can give them a full body workout. 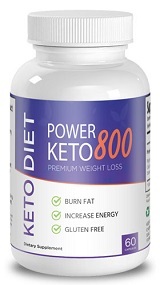 Overall, this is a neat little device that will help users build their core strength, but larger users may wish to look elsewhere. Previous Previous post: Crunches vs. Planks – Which Are Best for Your Core?